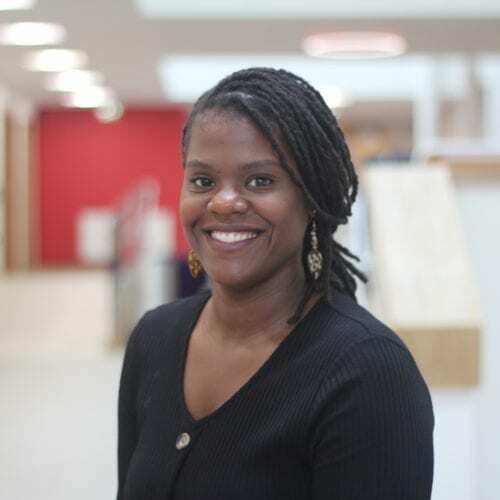 Dr Nicole Andrews joined Newman University in January 2016 having previously contributed to teaching on undergraduate degree programmes at University of Birmingham and Birmingham City University. She has also worked in the Institute of Applied Health Research as a Research Fellow at University of Birmingham. Nicole completed her doctorate in Applied Health Research at University of Birmingham after obtaining a BSc (Hons) from Aston University and MA from University of Birmingham. Nicole is particularly interested in health epistemologies and the development of research methods to engage with seldom heard communities in applied health research for the development of effective health service provision. Nicole’s teaching interests include concepts of care, the sociology of health and illness and health and social care in practice. Moiemen N, Mathers J, Jones L, Bishop J, Kinghorn P, Monahan M, Calvert M, Slinn G, Gardiner F, Bamford A, Wright S, Litchfield I, Andrews N, Turner K, Grant M and Deeks J. (2018) Pressure garment to prevent abnormal scarring after burn injury in adults and children: the PEGASUS feasibility RCT and mixed-methods study. Health Technology Assessment 2018, 22 (36). Andrews, N., Jones, L.L., Moiemen, N., Calvert, M., Kinghorn, P., Litchfield, I., Bishop, J., Deeks, J.J., Mathers, J. and PEGASUS Study Group, 2018. Below the surface: Parents’ views on the factors that influence treatment adherence in paediatric burn scar management—A qualitative study. Burns, 44 (3), pp.626-635. Andrews, N; Greenfield, S; Drever, W and Redwood, S. (2015) Strong, female and Black: Stereotypes of African Caribbean women’s body shape and their effects on clinical encounters. Health: An Interdisciplinary Journal for the Social Study of Health, Illness and Medicine. Andrews, N; Greenfield, S; Drever, W and Redwood, S. (2014) Silencing Stereotypes about Weight: Bias, the female African Caribbean Body and the clinical encounter. BSA Medical Sociology Conference. Aston University. Andrews, N. and Redwood, S. (2014) Research in the Liminal: Research methods to engage seldom heard communities. BSA Medical Sociology Group Event, ‘Under-served’ or ‘hard to reach’? : Community and participatory approaches in health research. Coventry University. Andrews, N. (2013) Learning from the Liminal: Researching on health with African Caribbean communities. Blackness in Britain Conference, Newman University. Andrews, N. and Bibi, R (2013) Raising the Issue of Obesity with Patients of Improving the Uptake of Weight management Clinics. Collaborations for Leadership in Applied Health Research and Care Birmingham and Black Country Dissemination Event. University of Birmingham. Andrews, N. (2013) Strong, female and Black: African Caribbean women’s understanding of body size and health. Weight Stigma Conference. University of Birmingham. Andrews, N. (2013) Tuned In: Using talk radio as site for health research. British Sociological Association Medical Sociology Conference. University of York.